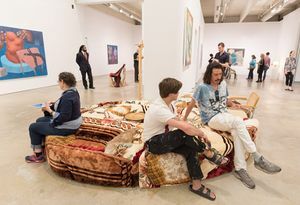 Ginny Casey & Jessi Reaves, opening reception, 2016, at the Institute of Contemporary Art. Note: The above descriptive information came from the museum's Mission and History page. Does Philadelphia need another building for contemporary art?, Philly dot com, November 8, 2018.